At this point, I've cut the rear off and started to clean up the cuts a bit. 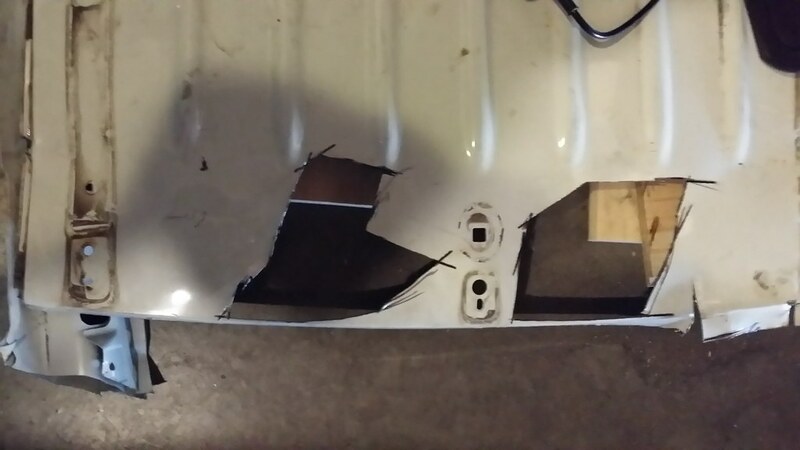 I removed the rear windows (miraculously without breaking them) and cut along the seam in which the window was seated. I will clean up all 4 cuts, then weld sheet metal over the holes. I'll have the bedliner sprayed up and over the new metal, like how some folks spray up and over the bed on their trucks. 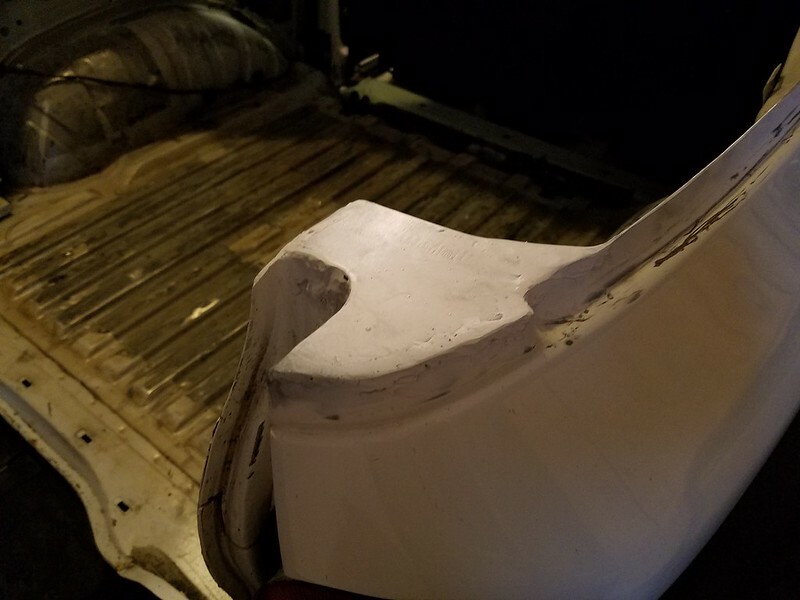 I will also remove the rear door and replace it with a tube tail gate swing out tire carrier using the original hinges and latch. Dude....I can't wait to see how this turns out! Is is going to be a permanent 2-seater? Are you going to add a full-size spare out back, as well? Thanks! Yes, permanent two seater. I am rearranging the brackets that tied the roof rails to the body to mount a small basket up top. Probably do a full sized spare there. Or potentially on the swing out tire carrier. Not sure just yet. Looks fantastic so far!!! Interested to see if you go with the Amigo spare-tire configuration. Good time to also dynamat (if you want), maybe toss in a marine-grade sub in the "empty" spare-tire location (if you keep the standard hatch). 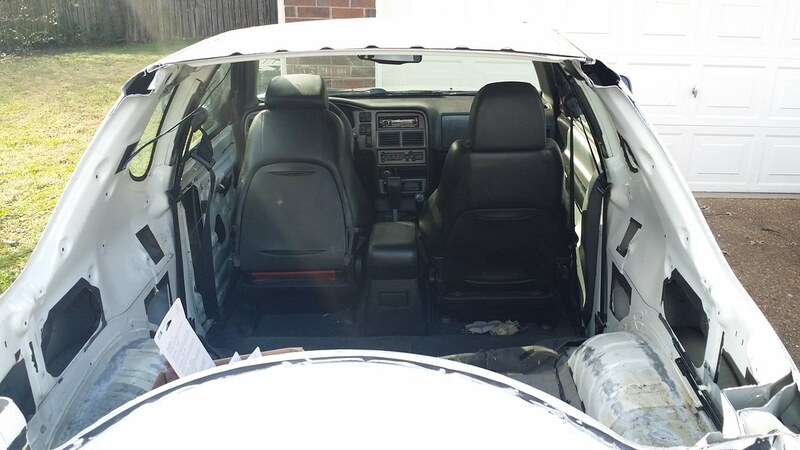 Are you planning any kind of partition between seats/hatch, or are you going to just spray the entire interior--front and back--and just pressure-wash the interior when it's dirty? No partition, that's pretty much what I'm planning! No carpet at all and bed lining the entire floor and interior (except the roof - it looks good as is). 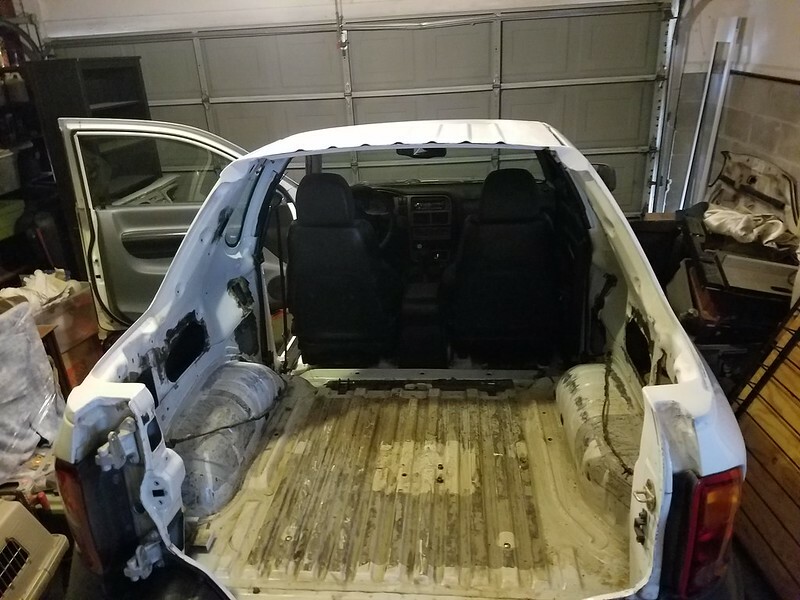 I'll probably put a couple of drain holes in the floor (one on the driver side, one on the passenger side) and rubber grommets (jeep style). Mesh--so it breathes--and it's marine-grade, so you won't have to worry about water damage. That's a very interesting idea. I'll have to look in to those seats. 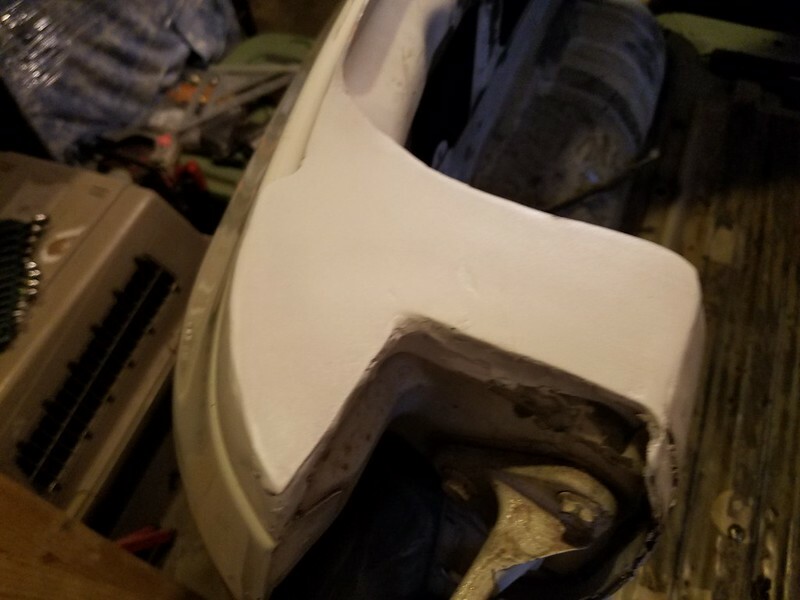 So I decided to lose the bump in the rear door and cut it straight across. The plan is to put an MDF box inside the bump that can store tools. Today I made the cut and cleaned it up a bit. Sorry for the poor photo quality. I also cut a few pieces to weld over the holes. These are the two largest holes and pieces. I'll tack them in to place and grind them flush with the body, then finish welding them in. 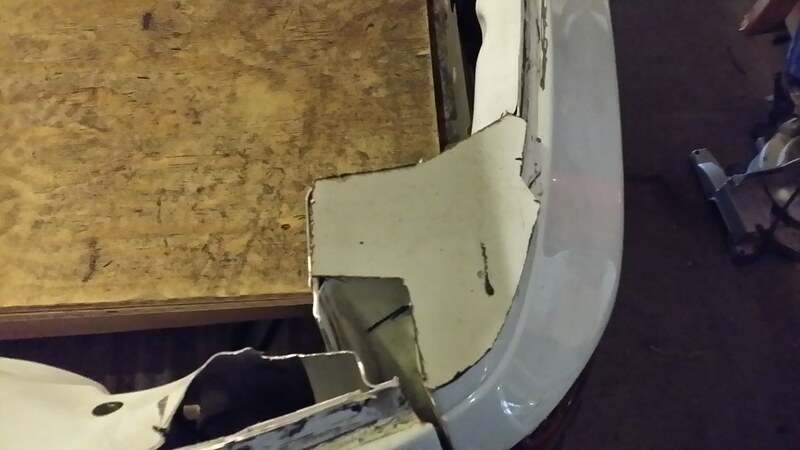 I cut the pieces out of the section of roof that was removed. They are nice and thick, and had to be cut with a cutting wheel (instead of tin snips). I'd probably lose the half-moon on the door, since you cut it flat across. Looks a bit out of place now. 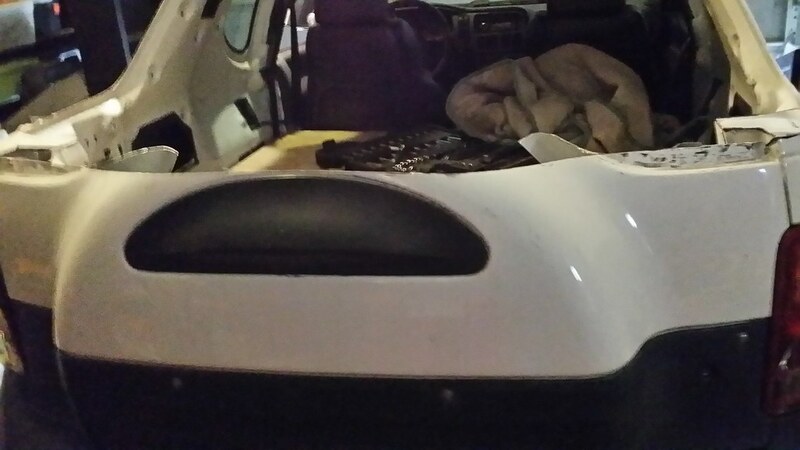 I'm going to have the rear door bedlined so I may take the plastic piece off and see how it looks without it. Quick update. 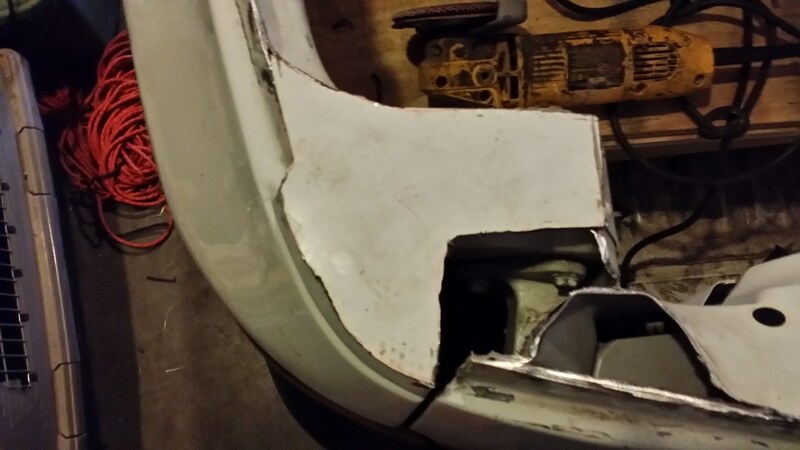 I have the holes from the cuts welded up and am doing body work on them. They are still a bit rough but you can get a good idea of what the will look like when finished. Then I will mount the basket on the roof, followed by having the interior, roof, and hood bedlined. Surprised you're not going gull-wing while you're at it. Saw a photochop of that, and it looked pretty good. Oh god, I hate to think what that would entail. I can't even get my door lock adjusted properly, let alone moving the door mounting all around! It would look pretty crazy though. 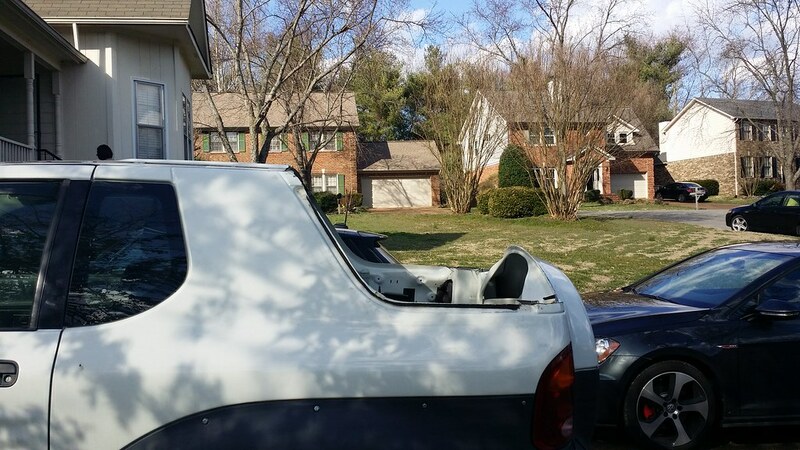 I have been considering a pop up sunroof, but I'm trying to limit the scope of the project so I can get the truck back on the road already!